Established as Universal Bakery Australia in 1995, we are one of the largest Australian family owned and operated bakeries providing specialist manufacturing of all bread products ranging from Loaves, Rolls, dinner rolls, artisan products as well as continental style products. Universal Bakery Australia over the years has provided their services to organizations such as Major Public Events and Private Hospitals, Nursing Homes, Schools, Universities, Five Star Hotels, Catering Companies, Sporting Venues, IGA Nationally, as well as the Cafes and Restaurants of our ever-growing Melbourne. Being a family run business, we take our time with the needs of customers ensuring that they receive the best that customer service can provide. The company structure is specifically designed for the catering trade of Melbourne and has a comprehensive understanding of the needs of the industry. Universal Bakery Australia has always maintained a reputation in providing quality assurance, Reliability and consistency. Universal Bakery Australia has ensured the best standards by continually updating our HACCP accreditations as well as a halal certificate. Dating back to 1959. We now have 3 Generations of family continually operating a family bakery with original recipes and continued dedication to customer service. In 1959 as an eager 18-year Pasquale Siciliano began his career in the food industry at Exhibition bakery in Canning Street Carlton, starting as a delivery driver, the Miglironi family saw potential and trusted in Pasquale taking him in “as a son” allowing him to continually move up the ranks until reaching the position of Group Supervisor of Dispatch. In this time, Pasquale also had done 2 years in baking for Exhibition. Due to his friendly nature he was allowed to become the Sales Representative for Exhibition Bakery becoming the forefront of the business. This is over a 21-year period until Exhibition shut their doors in 1980. Pasquale then left on his own venture to purchase a bakery in airport west, until Sunnicrust bakery later bought him in 1985 out due to this bakery being a major competitor to Sunnicrust and employed Pasquale for the next 10 years due to his great communication skills and expert reputation in customer service. Pasquale left Sunnicrust in 1995 to venture with his son Marco Siciliano to purchase an existing bakery in Assembly drive Tullamarine adopting the name Universal Bread and Roll Bakery. In partnership with his son Marco, they ventured to bring Universal bakery to new heights as the ever-changing Melbourne is constantly challenging new businesses. In this time Pasquale and Marco made dealings with high Value Company’s ranging from Catering to 5 Star hotels and even interstate and overseas deals, Marco represented Universal Bakery at Multiple food Expos in Singapore and Europe., Expanding our trade to overseas markets. Pasquale and Marco wanted to maintain the family value of the business continuing to provide a family orientated customer service, while keeping in touch with original recipes and overseas influences that rubbed off on a Multicultural Melbourne. 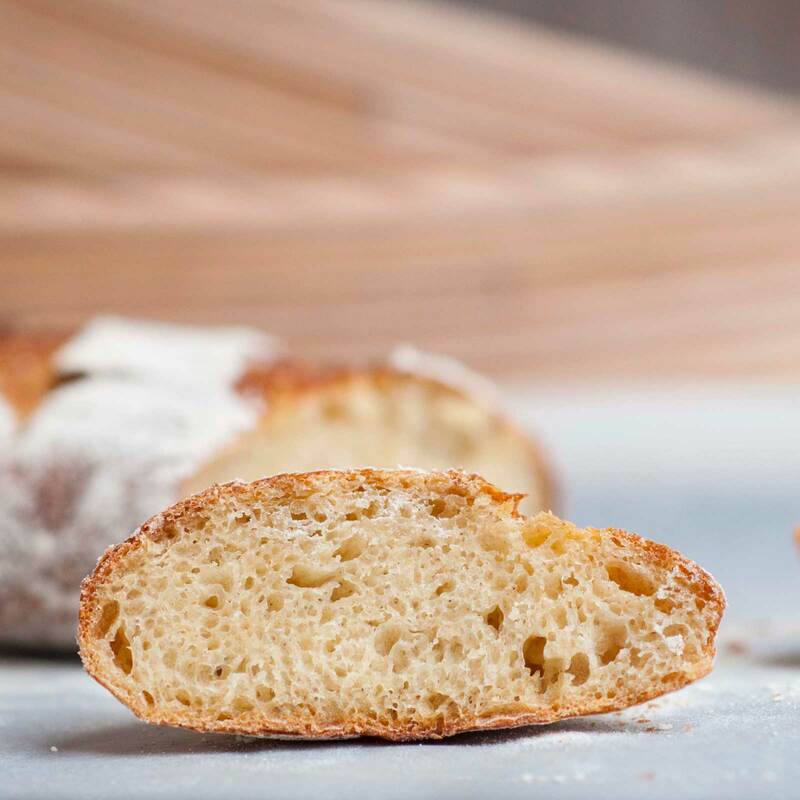 Introducing new ideas such as Brioche and Sourdough which have all originated from Europe. As new challenges arose it came the time to leave Assembly drive after 22 years and expand the business to a 1-acre property in Edwardes St Reservoir with newer facility’s to further our position in the wholesale Market. Today Pasquale has stepped back to overwatch the 2 generations take on his hard work over 40+ years that he has worked. Currently Cynthia Savini who is Marks daughter has been in the business for 20 years and has a strong understanding of the ethics and principles of the business. Marcos son Eros Siciliano has recently taken on the role of Sales manager. Universal Bakery Australia is continually looking to forward their position in the Wholesale Industry creating new avenues and relationships with existing and new customers. We are big enough to cope but small enough to care. Save money by buying direct! Our prices are 30% cheaper than stores & supermarkets. Universal Bakery Australia provides Bread and associated bread products to the food service industry. With a team of over 15 Qualified and Accredited Bakers that spans over 200 years of combined industry experience. If you would like to serve our bread in your establishment, we can bake our products for you Monday to Sunday. Please call our friendly staff on (03) 9335 1433 for more information on establishing a standing order or to see samples of our products. If you would like to service our bread in your establishment; We can bake our products for you Monday to Sunday.